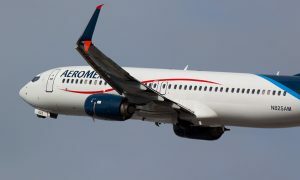 Aeromexico has reiterated its commitment to improve connectivity at its main hub by announcing an increase from three to five flights per week from London Heathrow to Mexico City. 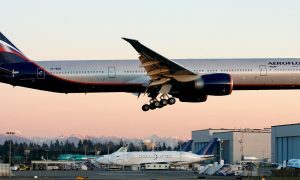 This increase to five weekly flights will allow passengers to connect to many destinations from Mexico City to Los Cabos, Cancun, Guadalajara, Monterrey, Huatulco, Puerto Vallarta, Oaxaca and Tuxtla Gutiérrez in Mexico, as well as Cuba, Costa Rica, Guatemala, Quito, Chicago, Bogota, Buenos Aires, Santiago de Chile, Managua, San Antonio, Los Angeles, San Francisco, Montreal, among others. The Boeing 787 Dreamliner offers The Clase Premier (Aeromexico’s Business Class) cabin with 32 seats that tilt 180 to become “Full-flat beds”, and 211 next-generation seats in Economy Class that provide extra legroom. This airplane is also fitted with Sky Interiors featuring LED lighting and considerably larger windows than other aircraft in its class, with a cabin pressure system that reduces in-flight fatigue. Other technological upgrades on board the Dreamliner include personal entertainment systems with 16-inch Elite High Definition screens Panasonic in Clase Premier, and Eco Monitor touch screens in the Economy Class cabin, with a wide selection of films and television series to choose from. 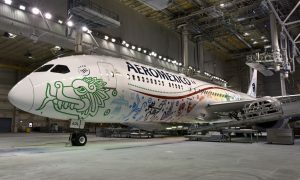 Aeromexico continues to work hard to provide an improved range of connectivity options between various cities in Europe and Mexico as the airline increases its presence across both continents.